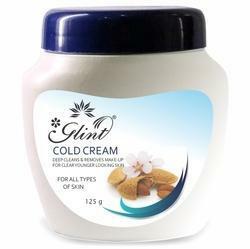 Glint Cold Cream is a high performance cream contains almond oil along with Vitamin E. These natural nutrients hydrate the skin by giving moisture to the skin. We are manufacturer of Almond Cold Cream. dry skin - Cream of Almond with extracts of pure rose petals and natural bee's wax. Blended with almond and honey Florence Luxury Almond Honey Cream nourishes, conditions, soothes, softens and moisturizes the skin. Because of Almond’s antioxidant and anti-ageing properties you can reduce wrinkles and fine lines in your face. Honey is known as anatural cleanser which exfoliates your skin to bring out a radiant and glowing complexion. We Cosmic International, are a reputed manufacturer, supplier and exporter of world-class Almond Cold Cream Cosmetics and Perfumes. Inclusive of Skin Care Creams, Hand & Body Lotions and Face & Body Scrubs, we offer optimum quality Skin Care Products. 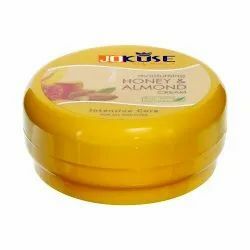 Natures Essence Almond & honey Cream:- It contains ample doses of almond oil & honey with anti oxidants to nourish and improve complexion and protect from dryness. It delays ageing and imparts a smooth texture to skin. Make the skin soft smooth a well oil-balanced creame. Jolen Honey & Almond Nourishing Creme is enriched with Natural Honey & Almond Oil with antioxidant properties. - Rejuvenate skin with Long Lasting Moisturizer. - Makes skin silky, Smooth & youthful glow. - Absorbs in skin quickly without greasy feeling. - Best in dry & cold weather.